SAN FRANCISCO (KGO) -- With his over-the-top success and overwhelming demand from fans, Felipe Esparza added new dates to his "Bad Decisions" tour, including a show at The Warfield and a visit to our ABC7 Studios. We covered a range of topics from his Southern California upbringing, to his favorite sports teams, Día de los Muertos, and some tough past experiences he shared with humor. Comedian and actor Felipe Esparza got his start as a comedian all because someone asked him to list five goals in life. During a stint in rehab before he was 21, Felipe was asked what he wanted out of life. 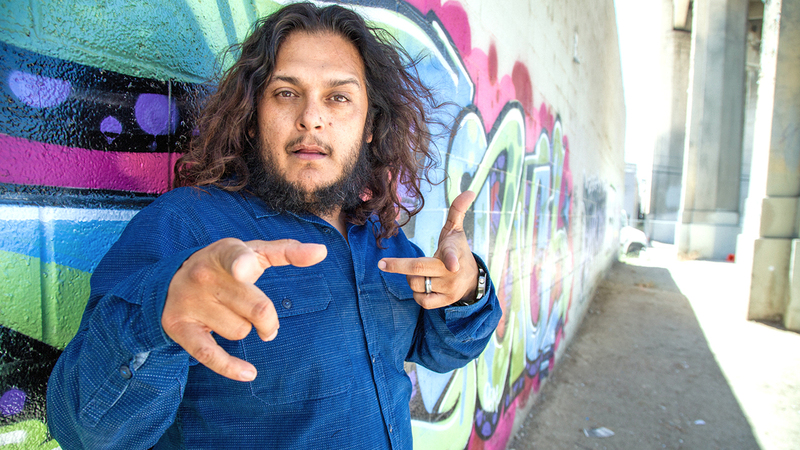 As a young immigrant growing up in the projects in Boyle Heights (East L.A.) and then as a teenage father with a drug and alcohol problem, it was a difficult task because he had never thought that far ahead. Among the items on that list were "to be happy," and "be a stand-up comedian," because of how he connected to an old Bill Cosby album when he was younger. Up until that question, Felipe was under the impression that life was over at 18. For the rest of his bio go here.